With boating safety being more important than ever, driver’s etiquette is of equal importance, so we can continue to enjoy our activities long into the future. Learn how to drive respectfully, so we can all enjoy our waterways without having issues. WSIA cannot stress the importance of this enough. Thank you for helping us spread the word. 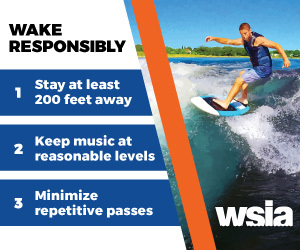 WSIA Captain’s Etiquette 2016 from WaterSports IndustryAssociation on Vimeo.